Even though bacon is pumped full of preservatives, cooked bacon shelf life is not forever. The bacon use by date is one clue as to whether a package or piece of bacon should be eaten or whether it should be thrown out. But it isn’t a sure way of determining whether a piece of bacon is edible. How Long Will Cooked Bacon Last? Bacon fridge life is around 5 to 7 days, assuming that it is kept in the refrigerator for the entirety of that time. It might keep slightly longer if the package is still sealed, but that is not a sure way to lengthen the time of its edibility. Bacon that is going bad will change color. It might take on a greenish hue or turn a dull gray instead of the pink/red color of fresh meat. Another way to check bacon that you think might have a suspicious history is to touch it with your fingers. Cooked bacon and luncheon meat will have a slimy feel when it is going bad, even before it begins to show discoloration. It is hard to tell if bacon is spoiling by the scent because of all the spices and preservatives that are in it. Even if it is starting to turn, the additives will sometimes mask the odor of decay. Even so, it might smell “off” or odd. The one thing you should never do with any food that you suspect might be spoiled is to taste it. Even just tasting gives the germs that could make you ill entrance into your body. A final visual check and one that is a dead giveaway for a food not being edible is if it is growing mold. Any food that is adorned with tiny green dots has definitely become garbage. If you have pets, you might be tempted to feed the tainted bacon to your dog or cat. While these animals do have better gut bacteria for digesting foods that are no longer edible by humans, if the meat is sufficiently spoiled or if it is growing certain types of bacteria, it can make your pet sick. 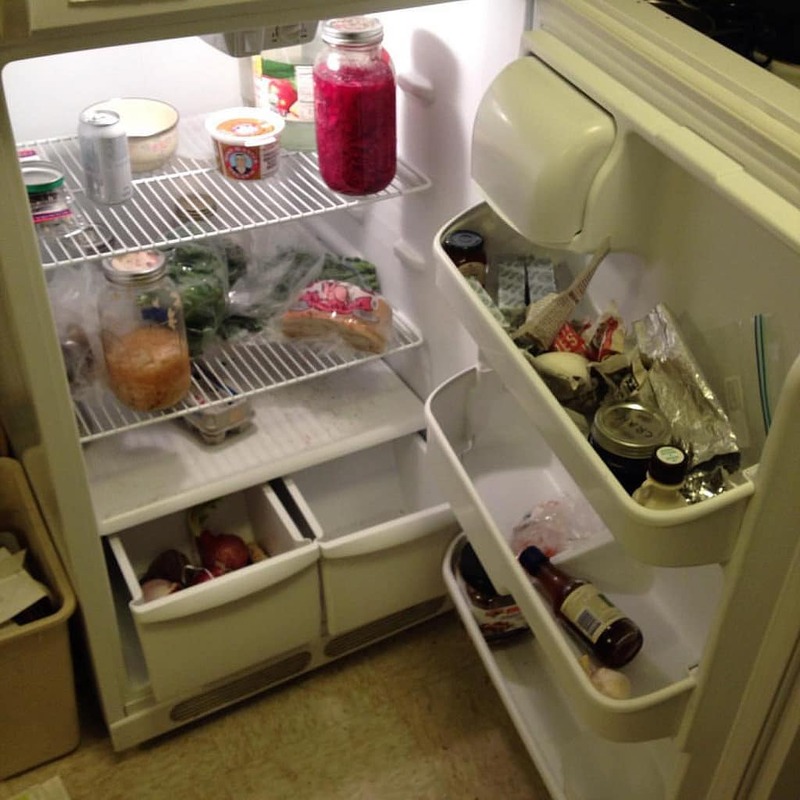 If that is not possible, you can develop a special container in your freezer for spoiled foods so that they can be thrown away at an appropriate time. When it comes to storing cooked bacon, there should be some definitions established. Not all kinds of bacon are the same. First, bacon is a cut of meat that has alternating stripes of lean and fat, with a strong leaning toward having more fat than lean. 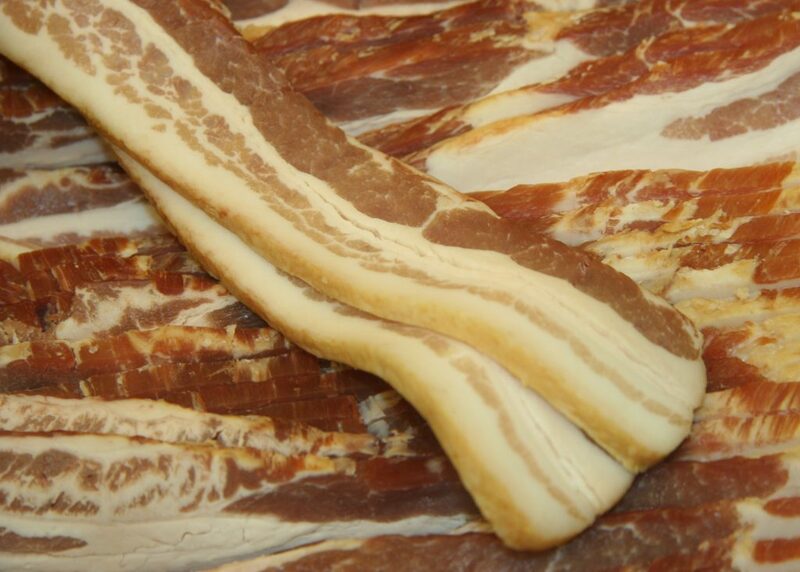 If you buy it without any preservatives, or processing, it is called fat pork or pork belly, or simply fresh bacon. It will fry up nicely and won’t have the smoky preservative flavor of cured bacon. If you have leftovers after cooking this, it should be stored in the refrigerator or it can be frozen. Next, there is cured bacon. Bacon, like ham, can be cured in a lot of different ways but the important part is that the curing slows down (but does not eliminate) bacterial growth, especially if it reaches 145 degrees Fahrenheit during the curing process. However, today’s bacon might not have been cured in the traditional manner and might be more like fresh bacon with some flavoring. Raw bacon should be cooked within a day or two of placing it in your refrigerator, and any leftover bacon that is not eaten should be refrigerated or frozen. Finally, there is the product that is often labeled “Fully cooked Bacon.” This stuff is often more like a luncheon meat than real bacon, but it is long on preservatives and is usually safe to eat straight out of the package. As for how long it will keep, treat it as you would a luncheon meat. That is to say, put it in the refrigerator, don’t leave it out on the counter, plan to eat it up within the week, and watch for telltale signs of spoiling. If you have bacon that you know you will not be able to use within the week, freezing it is an excellent option. It might take the crispness out of pan-fried bacon, but it will put an immediate stop to any microbial action, which is the desired goal. 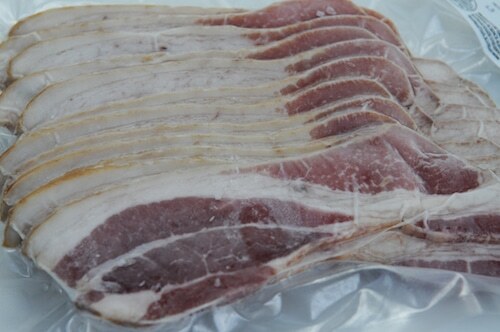 Bacon of any kind – raw, cooked or fully cooked – will keep four to six months in the freezer. Freezing cooked bacon will keep it sufficiently edible to put in a casserole or even on a sandwich. Cooked bacon can be safely defrosted in one of three ways: in the microwave, in the refrigerator or in cold water. You should never have your cooked bacon left out on the counter to thaw. Once it is defrosted, it should be heated all the way through to an internal temperature of around 145 to 180 degrees. The easiest way to do this is to place in a baking pan and warm it in the oven. Once rewarmed, it can be used in any way that you would normally use bacon. Raw fresh bacon – needs to be treated as any raw pork cut. 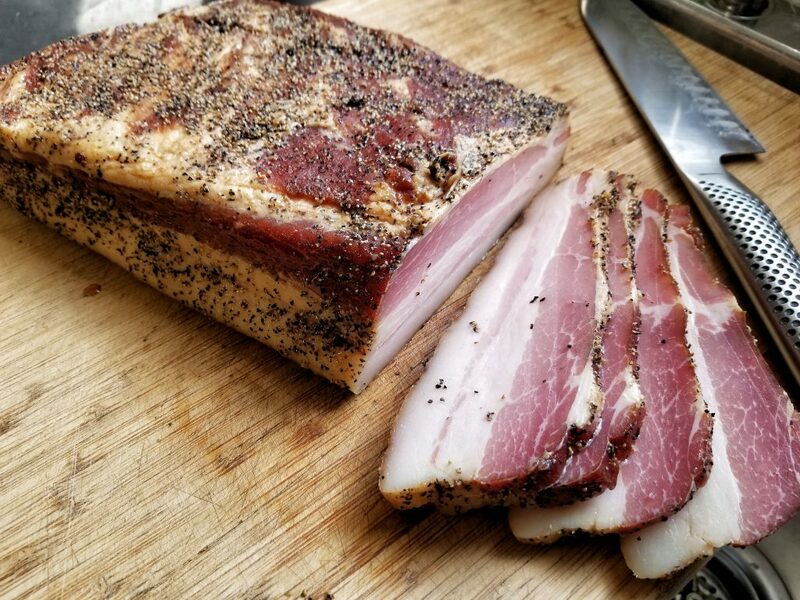 Smoked or cured bacon – Can be kept in the refrigerator longer than fresh bacon, but should still be used up within the week. 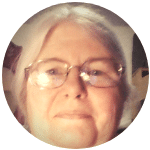 Ready to eat, precooked bacon – treat as you would a luncheon meat, such as salami or bologna. Can be kept in the refrigerator for about one week (usually) or can be frozen for four to six months. In the microwave – use your microwave’s directions. 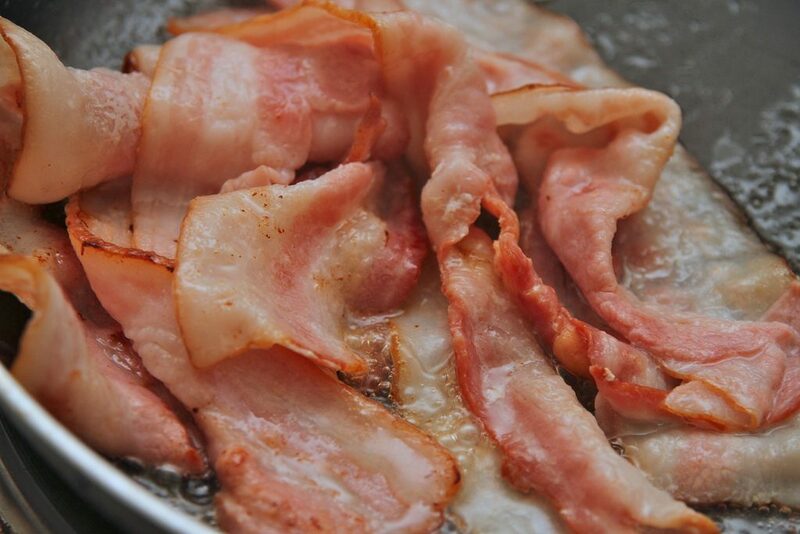 Reheat frozen, cooked bacon by placing it in a pan and warming it in an oven at 350 Fahrenheit. Some people say you can eat it right out of the package, but warming helps kill any lingering bacteria. Dispose of bacon in the trash, sealed in a way to prevent pets or other animals from getting into it. So, how long can you keep cooked bacon? Either by refrigerating for a week or keeping it frozen for much longer. It all depends on how often you use it. 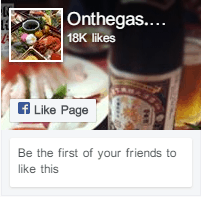 Tell us your experience with cooked bacon in the comment section.